To celebrate Open Championship week, I thought I’d post a few profiles of some of my favorite links courses in Great Britain and Ireland. If you haven’t done battle with these courses, you surely should. 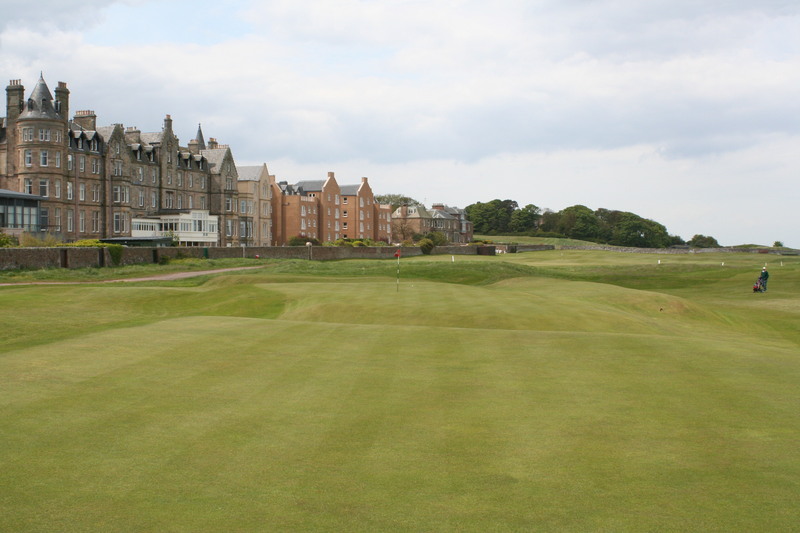 Today – North Berwick Golf Club. 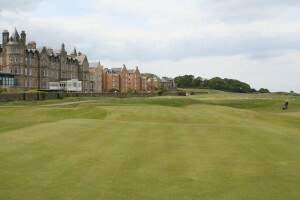 In 2013, the Open Championship returns to Muirfield. But before it does, local qualifying will take place just down the road on a course that, for my money, is a bigger thrill to play. The West Links at North Berwick Golf Club. This is not meant as any kind of slight to the Honourable Company, because yes, I would like to play Muirfield as often as I’m allowed to. But there’s something about North Berwick that is transcendent. It’s storybook golf – where playing the game is like stepping back in time to your childhood when you still took delight in every little surprise. And North Berwick has lots of them. 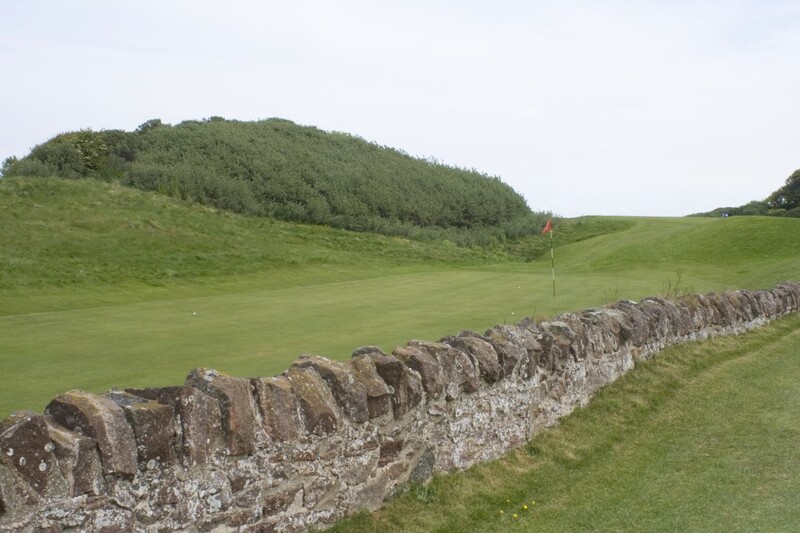 From your opening tee shot, where the driver will uncharacteristically stay under its headcover, to your final one, where reaching the green in one is everyone’s goal, The West Links just make golf fun – no matter how well or how poorly you play. The club, which was founded in 1832 (when the Oregon Trail was just being blazed and Andrew Jackson was President), places itself as the 13th oldest in the world. In this case, 13 is a very lucky number. And that fact is in evidence on the course, as well, where the trio of holes beginning with the 13th are amongst the most unforgettable in all of golf. Hole 13, “Pit,” is straightforward off the tee and anything but afterward. Its oblong green is tucked right behind a stone wall. A sign proclaims: “Don’t argue with the wall. It’s older than you are.” This is advice you’d do well to heed. Fail to clear the wall on your approach shot and it will take a Mickelsonian flop shot to give you any chance at making your four. Hit the wall on your approach and, well, suffice to say that you could wind up anywhere. It’s such vagaries and twists that give North Berwick its singular character. No modern designer would dare create a green thusly guarded. It’d be deemed madness. But here in this picture-postcard-perfect corner of East Lothian, I call it high art. Which brings us to the 14th hole, aptly named “Perfection.” Whether it’s called that because it takes two perfect shots to hit the green or because of the marvelous views of the sea and bulbous, bird-covered Bass Rock just offshore, I don’t know. But to me, the hole reflects sheer perfection in its design. Your tee shot plays slightly uphill to a landing area where two very nasty and par-dream-ending bunkers lurk. Avoid them, and you still have a blind shot up and over a ridge, below which sits the green bathing in sea spray. It’s a challenging hole, a beautiful hole and some would say a completely unfair one. But to me, it’s perfect, and thus perfectly named. The 15th hole at North Berwick may be one of the most famous in Scotland; its green design is certainly one of the most often copied. “Redan” is 190 yards of sheer difficulty culminating in the famous Redan green, which slopes from front to back and right to left away from the tee. One bunker guards the left side of the elongated and elevated green; three bunkers guard the right. Hitting this green in regulation should earn you a badge. You’ve undoubtedly played many copies of this hole. But you really haven’t lived until you’ve played the original. On “Gate,” the next hole, your tee shot plays over a low stone wall. Don’t top your drive (as my 12 year-old son infamously did) or you may find yourself playing your second shot from a bunker that’s farther from the green than the spot where you teed it up. Again, it’s the kind of delightful, unimaginable surprise that you just won’t encounter on many other courses. The same can be said for the putting surface here on the 16th. It’s a textbook example of the Biarritz green, with two high plateaus bisected by a gully. Heaven help you if your ball finds the wrong plateau – it will be in for the roller coaster ride of its life. When you’ve finished your round – hopefully by driving the 277-yard last under the watchful eyes of the members in the clubhouse – you must by all means change your shoes, remove your cap and spend some time soaking in the history that the clubhouse contains. Club Secretary Chris Spencer and the members of North Berwick Golf Club will make you feel very warmly welcomed. And they love sharing in the delight that visiting golfers exude as they go back through their rounds over a pint or a wee dram. 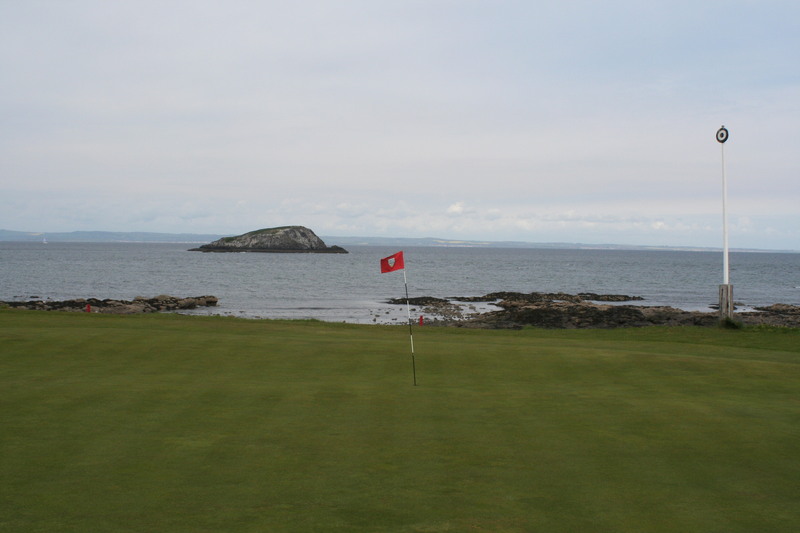 There are brawnier courses you can play in Scotland. And there are certainly more expensive ones. But few can match the quirks and joys that you’ll find at every turn at North Berwick. Whether you’re qualifying for the Open or just playing an evening round with your border collie at your side, these unforgettable links make golf magical. Just as it should be. Depends on how long you have been playing.I Have a Handicap of 7 and the par of my home csuroe is 70 therefore i would need to go around in 77 shots over 18 hole to play to my handicap.It would seem that your handicap would be between 15 and 20 which is good if you are just starting out, and with practice you can become a lot better, Remember that the best way to get a good score is having a solid short game, so practice those short puts and green side chips and you could be shooting in the 70 s in no time.